Chat with Devs: StarCraft II is definitely evolving to be even more intense than the original StarCraft, with the increased mobility of units with cliff traversing abilities, as well as new transport abilities. In response, the development team has buffed up the Terran Planetary Fortress to have splash damage as well, which has proven to hold off decently against raids now, especially with your SCVs fixing the command center at a very high rate. As always, shoot the devs and I a w00t! if you are enjoying this Q&A batch! 1. In StarCraft II, will there be friendly fire? We have received heads up from a couple of agencies informing us that the voice acting role of Jim Raynor and Kerrigan the Queen of Blades are now up for grabs. It seems the Jim Raynor voice actor used in the Starcraft II cinematic and in the in-game single player demonstrations was a placeholder; or the creative team decided at last minute to change the actor. Overall, this is an indication that Starcraft II: Wings of Liberty is on crunch mode. Voice acting is one of the few steps of development when the single-player dialogues are set in stone. As many of us witnessed, the developers revealed they were a third done with the Single Player (at the Starcraft Panels during the 2008 Blizzard Worldwide Invitationals in Paris back on June 28-29). This was roughly five months ago. After Blizzcon, now we know that Starcraft II will be a trilogy. In short, fans could speculate they meant they were one third done with the Wings of Liberty episode. Are we looking at an anniversary release date? (April 1); or the usual RTS release date (July 1)? We will have to wait and see. We wish to gather feedback from the entire Starcraft Community. Do you wish Blizzard to hire the original Starcraft voice actors: Glynnis Talken (Kerrigan) and Robert Clotworthy (Jim Raynor)? Please, write up good reasons to wish these voice actors back in Starcraft II. Spread the word around your favorite forum communities. Post your comments here. We will forward this petition to the Starcraft II team. This is your chance to get the former and loved Jim Raynor and Kerrigan voice actors back into Starcraft II! Keith R.A. DeCandido gave me a heads up of some details of his upcoming Starcraft Ghost: Nova sequel which he posted in his blog. The pocket book sequel will tie-in with the Starcraft II plot introducing a backstory of the Spectre ghosts unit. The novel will have elements from the postponed FPS console game, the way the canned Warcraft Adventures was novelized. The pocket book title is Starcraft Ghost: Spectres. Keith: “It’s pretty much official at this point, since Pocket’s made an offer to my agent that I’ve accepted, and Blizzard likes 90% of the outline: barring a major disaster, I will be writing a sequel to my StarCraft: Ghost novel Nova. Tentatively pencilled in to be published in the summer of 2009 (though it isn’t formally scheduled yet, so that could very easily change), the novel will be called Spectres, and will pick up where Nova left off. In some ways, this will be a novelization of StarCraft: Ghost, the game-that-never-was. Nova was written to be a prequel to the game, and the plot of Spectres will include many elements of what was to be in the game. Having said that, don’t read this novel expecting to see exactly what the game would’ve been like. The game plot is, at best, a loose basis for the novel. We went for what worked best for the overall storyline in general and for this novel in particular, rather than fidelity to a game that will probably never see the light of day. It will also tie into both Ghost Academy (which will take place alongside Chapters 18-19 of Nova) and to the forthcoming StarCraft II game. Nova will be in both, obviously, and another character in both the manga and the novel is a major player in the upcoming game. Oh, and Agent Malcolm Kelerchian will be returning in Spectres as well. 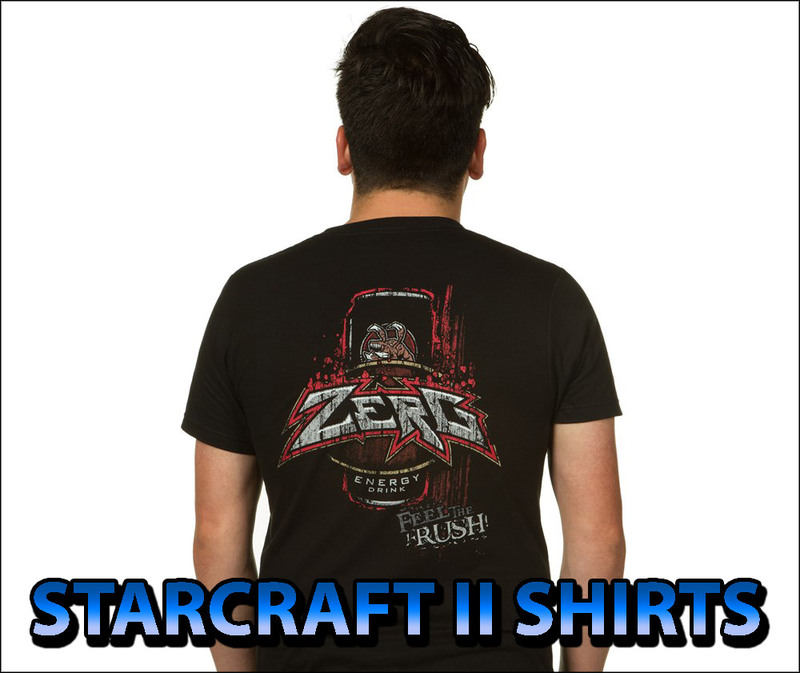 March 10th 9:40am – It is said from South Korea that Starcraft2.com (US) will unveil the Zerg webpage on March 11th. Everyone is screaming while held tight on their seats in an euphoric ecstasis. However, one thing seems certain … with the Zerg race officially unveiled, this means only one thing: Starcraft 2 Beta Test might happen any time between April-June. The 2008 Blizzard Worldwide Invitationals (Paris, France) will happen on June. Here hoping Beta is soon. Update: March 9th 11:15pm – New Starcraft II Cinematic Video from GameTrailers. Transcript by Edfishy. We burned a path of annihilation across the stars. Four years ago we faded into the shadows. Now, the time has come for us to step back … into … the light. Now, worlds will tremble once again. But we are becoming … much… much more. For the final metamorphasis has only just begun. UPDATE: March 9th 10:22pm EST – SCLegacy is getting hammered. And I am getting multiple people whispering me findings on the net. This is crazy. Edfishy from Project Revolution Team just gave me a heads up of some Korean forums linking these images. – Upgrades from the Overlord and now has an attack. The Overlord doesn’t have detection. You must upgrade to Overseer in order to gain detection of burrowed and invisible enemy units. However, the detection range has been increased. – The queen is a vastly different unit. She has the powerful ability to control Zerg base defense. The queen can create special structures and extend creep. It has the ability to create toxic creep. And it can make buildings regenerate faster. You can only create one Queen at a time on the map. It has an ability named Deep Tunnel which allows it to move to any hatchery spread on the map. – The roach is a very fast moving unit with 90 hit points that recovers health quickly. Requires sustained damage to effectively kill it. – The infestor replaces the defiler. It can cast dark swarm. It may move toward the enemy while burrowed. Disease seems to mimic the Science Vessel’s irradiation. The Infestor can infest any building including barracks. – The corruptor attacks air units. Instead of destroying them, it “corrupts” them possessing the enemy unit. It can cause a large group of units to fight each other, quickly turning the tide of the battle. – The swarm guardian is much like the original guardian, but it can now also create broodlings and has a longer range of attack. – The Ultralisk can now burrow. More info translated to english at TeamLiquid. (Thanks, Entropy). The Dominion under Emperor Mengsk I has been under shambles in keeping a well and strong jurisdiction on each of the Terran worlds. But to make things worse an evil familiar face by the name of Alan Schezar (Allen Schezar) has arrived. First just a normal sighting of plotting some new smuggling scam, now when Mengsk orders an investigation he finds that Schezar has conquered his own Cerebrate brood. Obviously Mengsk cannot allow Schezar to get away with this, so he sends Duke, Tom, Magellan, Rogerson, Montag to deal with this matter. Praetor Mojo has some different plans but Mengsk ignores them, during the fight Duke finds another familar face he thought he would never see on Mar Sara … the outlaw Jim Raynor. He threatens Raynor to help him, so Raynor has to agree. They fight their way to the Cerebrate and with no one to defend him, they destroyed the Cerebrate and retook the location, Raynor tried to escape but was caught by Duke. Duke ordered the arrest him for treason to Mengsk. Three weeks later, at the jail ship, Raynor sits patiently. Then Raquel Rogerson and the Commander meet him and plot a chance to escape and head to Aiur to stop Schezar …… The war with Schezar has begun! As you play you will meet new and old heroes of StarCraft, command strike teams, massive armies of all three races, on all terrains and on all types of planets. You will fight for the Commander Mojo and Schezar, but can you finish this story? DOES NOT REQUIRE BROOD WAR TO PLAY!